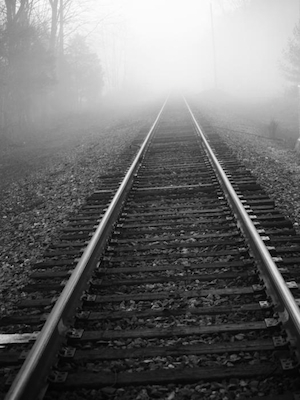 Will the industry analyst business be dead in five years? Having been in and around the analyst business since 1996, I've never been short of an opinion or two about the industry. And neither are most people I know... love them or loathe them, analyst firms and their unique individuals stoke the emotions of many who come in regular contact with them. But are the days of the traditional industry analyst firms numbered? I've been both analyst and consultant during my career and work with many buyers, sellers and intermediaries of both technology products and professional services. I've worked with the best and worst analysts on the planet. I've seen great research developed that was truly unbiased and objective, and also - sadly - been witness to some that was, quite frankly, not. I've seen analysts ride waves and become rock stars, and then lose the plot somewhere along the line before either exiting the industry altogether, or plodding along on the vendor-briefing circuit, eking out their paychecks towards retirement. I also know level-headed analysts who quietly go about their job and produce decent stuff - never making a lot of noise, but effectively doing their job. I've also worked with egomaniacs who pander to paying clients and scare the living daylights out of anyone who dare criticize them - or refuse to buy their services. I've also worked with absolute numb-skulls who somehow remain employed, despite knowing very little about anything. And I've worked with analysts who really know very little, but somehow persuade the world they are visionary thought-leaders. Short-term attention-span theater has taken over, and some analyst firms are oblivious. Very few people have the patience, or inclination, to read detailed reports any more. Even just five years' ago, many people only checked email two or three times a day, allowing them to focus on tasks that required a lot of deep-thinking, reading and writing. Nowadays, most people are checking email constantly, scanning tweets, Facebook status updates, LinkedIn invitations and contributing to whatever social group or network with which they like to spend time. Research needs to be served up in bite-sized chunks to stand any chance of being read. The analyst firms are slowly becoming aware that few people read their stuff anymore, but persist in "checking the boxes", forcing their analysts to meet their report quotas each year. Their problem is that their product and revenue model is based on numbers of reports and hours of enquiry time - they are serving up expensive macro services, where their clients now want the micro. There's too much "research" being produced that's not telling us anything new. I am actually hearing major IT/BPO providers and C-suite buyside executives declaring that today's "traditional" research "isn't relevant to them anymore". They just don't see the point in a lot of it. They've figured out how to sell/buy their products and services, and dont need some primadonnas in their ivory towers telling them what they already know, using big words such as "ecosystem" and "agility". They view analysts as useful sounding boards and occasionally get some competitive intel out of them, but that's really all the value they currently get, beyond favorable positions in scatterplot charts and after-dinner awards. Too many analysts are following the hype and avoiding reality. How many analysts haven't started using the word "Cloud" at every opportunity? How many have actually had the stones to challenge the hype and go against the marketing dollars of their paying vendor clients? The more analysts persist in following the hype, the more they are turning off the punters. Buyers don't read research these days. Fact. I can tell you from years of experience that buyers will only read a research report if their job depended on it and it's forced down their throats. However, buyers love learning things that help them do their job better - they like listening to real experts and learning from each other. Analysts need to spend as much time as they can talking with buyers and becoming a focal point for idea-sharing, knowledge, data and validation of their strategies. While some analyst firms know this, many of their analysts rarely have more than two or three buyers in their Rolodex. The large analyst firms lack rock-star visionaries. In years gone by, there were countless big personalities emanating from the Gartners, IDCs, Forresters at al. Sadly, that number has dwindled as these firms felt the need to control and scale their corporate brands and keep their payroll under control. Moreover, the last thing they want are clients calling up demanding to talk with Bill, not Ben. Innovation is bred from people with vision and personality - and the more analysts are "standardized", the more the personality is drained from the product. Analyst firms need to create new visionaries for clients - and maybe even dust off a few of the old ones knocking around somewhere in the blogosphere. Hell - the retirement age is 70 now, so let's bring some of the old egos back! So there we have it - one guy's view among many - and am sure many people will get upset with me for calling it how it is, while others will just say, "tell me something new, Phil". I chose research and analysis as my chosen profession and believe passionately in the value that good expertise, broad thinking and data-driven guidance can bring. My firm, HfS, couldn't survive alone merely peddling research reports - we have to deliver products, data and networking opportunities our clients need, to help them do their jobs better. Research has to be about bringing together the voices shaping industry, providing real data to help guide decision-making, and also forcing people to stop, think, and take notice. At the end of the day, research is discretionary spend - we'll have another recession one of these days and we'll have further secular changes to industries, like the last one. Just look at what happened to the worlds of media and journalism. I fear that the analyst business could fall victim, should it fail to keep apace with these fast-changing times. Our friends at the International Institute of Analyst Relations (IIAR) are going to feature a live debate on 13th July at 11.00am ET, where I will be discussing this “crisis” live and taking questions. Click here for more details, or email info at analystrelations.org. I think you've actually missed a few of the things that are rendering Gartner -- let's call them out by name -- less and less relevant. Their core is the IT organization. More and more IT dollars and decisions are coming from end users. Gartner doesn't know how to talk to them and even if they did, that user wants something different: great accountability. Sound bites isn't the answer. Helping me make smarter decisions more quickly is. Know my business. We used to have too little information. In that world, Gartner could be king, as the one place you could go to reliably find an answer. Now we have too much information and Gartner is just another voice in that cacophony. Even worse, it's a voice that can't be found by Google. I want someone who can solve my information overload problem, not contribute to it. I could write another 10 pages on this subject. To answer your big question, no, the industry analyst business won't be dead in 5 years...unless we fail to respond to these new market requirements. The time for market disruption is right. Let's see who understands and capitalizes on this opportunity. I would also add that buying decisions are being made far beyond the IT department and the traditional analysts struggle to relate with non-IT executives even more than they do with IT ones. As IT/business process boundaries blur further, consumers of information will extend even more prolifically to finance, marketing, operations, procurment etc. These execs tend to spend their dollars with consultants when they need help - convincing them to drop $100K on a Gartner subscription will be quite the challenge! Phil, we are actually in violent agreement on the point re buying decisions being made way beyond the IT department. Let me so bold as to say that they won't spend that kind of money on a Gartner subscription, or anyone's without some greater level of accountability. Yes, today they go for consulting, a largely unleveraged and thererfore pricy, model. The challenge in my mind is to find that middle ground. Not as leveraged as Gartner but not as costly as consulting. I've been chasing that challenge for 14 years now...and I'm still chasing. Will the industry analyst business be dead in five years? I don't think so, but I agree that firms that don't keep up with the times will die (as your article states). Actually, I think there will be a resurge in opportunity for industry analysts, because so many businesses have been and are continuing to dump their seasoned expertise in favor of cheaper (and probably off-shored) labor. Already many technical businesses have lost their former core competencies and are run by bean counters who don't understand how the business produced saleable objects – but they have noticed that they’ve drastically lost market share and profits. As they wake up, they’ll want quick answers about how to right their ships. They probably will want that information in short bites of multimedia, but they’ll be happy to pay anybody who is a good presenter. There could be Government incentive programs too. So I wouldn’t worry about your future, as long as you are willing to convert from paper reports and PowerPoint presentations to full multimedia “TV show” presentations. Loved reading this. Jonathan also adds a good point that in the old days, there was a lack of quality information in IT. Today it's everywhere, so how do the Gartners and co stay ahead of the curve? Clearly, they need to do a better job of being relevant to the changing buying needs and delivering it smart ways that will get their attention. Remaining "relevant" is the operative word! The market is shifting to market makers for advice and influence. The convergence of various market makers will result in the new "analyst" or influencer of the future. It's happening across the board and the traditional definitions will fall by the way side as new business models emerge. At the end of the day, if we meet our clients needs for sound, pragmatic, and objective advice, we can apply this to line of business, IT, or the C-suite. The analyst business will continue to evolve for sure but die off - not a chance. Without doubt as purse strings were tightened over the past year, I have seen a smaller number of analysts in the market producing less research. The real challenge though to analysts is the sheer influx of other credible influencers who do not wear an analyst hat and yet provide similar services. The reports themselves that analysts write are little more than PR tools shouting out "if you like this report, then speak to the author and I will tell you the real story". Fact. - nobody buys a IT solution based upon reading a piece of research but they may do so after seeking advisory support. Where does this leave the analyst industry? Simply competing with influences and having to either increase their own firms brands (like Gartner and Forrester) or supply well known rock stars who can make their POV heard above the noise of a saturated market where anyone with a blog and a twitter account can claim to be an expert. Analysts need to be cognisant of this change and nurture their USPs of independence and quality output and not get lazy. After it is the lazy analysts that have been the route cause of many companies seekng advice from elsewhere. Will the analyst industry be dead in 5 years? No, but this period in time will see a good number of the poorer quality firms and analysts find themselves wihtout any income. Evolution will see the best come through whatever their business model and that for me is not such a bad thing, From an AR perspective we will focus on the best analysts and the best influencers. Jonny raises an interesting question. What is the difference between an analyst (and an analyst firm) as compared with an "influencer." I would argue that one critical difference is that analysts have a research methodology and process whereas influencers have opinions and insights. If analysts ever lose this rigor, we have lost everything. I'll concede that many customers don't necessarily value that process but I would argue that's the fault of the analysts and not the clients. It's up to us to make it relevant, to show that it produces more reliable insights and judgments. In this sound-bite world, that's a hard message to deliver. However, I'm betting the pendulum swings back and if we're not prepared to answer that challenge when customers come to realize the value of sound process, then that is unfortunate for all of us, analysts and customers alike. Excellent piece - and some insightful comments. Gartner and Forrester will be around, if they can evolve their models. I agree with Jonny about the "lazy analyst" issue - those that simply follow the trends and make minimal effort to come up with new thinking are the main cancer to the analyst industry today. I see that as the bigest threat to the big two. It does concern me, however, if we end up with a duopoly situation - does this really incentivize the big two to innovate and stay ahead of the pack? Isn't that why we have lazy analysts today, and won't this get worse? The smaller analysts producing lower quality research will die - and likely before another 5 years. They're increasingly irrelevant and being overshadowed by newer market influencers. Simply producing vendor-related marketing will not keep them in business. As IT increasingly becomes a commodity, it's harder and harder for analysts to stay ahead of the curve. The new innovations are happening in social media, mobility, cloud computing and globalization/outsourcing. I don't see any of the traditional analysts taking the lead in any of those areas - it's the new influencers / bloggers / smaller analyst firms at the helm. It's a struggle for the traditional firms and we may be left with a small number in business in five years - and more consolidation. When I was a buyer, most analyst reports were read by 1) IT, but decisions were business driven; and 2) read by middle-middle mgmt (directors and managers). Some of the material was good, but less than 25% was usable. Not bad when you consider that other consumers were probably asking other questions likely making a good additional portion useful. Analysts were almost always helpful on the phone. Senior management and business-side buyers hired consultants to answer their questions. Again, some of the material was good. 80% was useful, but half of that was regurgitation of client thought or hands/feet to supplement employees. Hiring better staff would eliminate that half. My opinion, anyway. All of this was expensive. Different horses for different courses, I guess. The gap is the analyst model for business owners. Leaders don't need advice from someone who hasn't walked in their shoes. Analysts or consultants. I understand the cost models. They save the investments for rainmakers and deliver services and research with far less costly, less capable resources. And they then dilute their brand. Great. Everyone is well paid. But it is the clients the industry collectively needs to serve better. And I don't think the dominant players do it great yet. At least consistently great. I think that technologies are becoming more complex, and everything is more confusing. So the only thing that makes sense is to buy as much advise as one can. Which isn't that much more, but it isn't that much less either (which means that if a few are growing, some others are losing). Yet, as one never knows which advise one will need (due to the complexity and confusion in the marketplace), it's better to have the support of 800 or 300 analysts through inquiry. The report forces analysts to do research, but one is really looking for the advise based on those. Journalism is different. The readers were not really the clients (except for a few cases), but the advertisers. Now, the advertisers can reach the audience directly. News can flow without intermediaries. And people do many things besides reading. For example, searching, playing games, reading email, sharing photos with friends, exchanging ideas in an online forum, responding to a blog, etc. Any of this can have an advertisement attached to it. Hence, the hamsterization of journalism (as someone called it). Which is why you see traditional media suffering. Today, the buyers of IT (or BT) can reach the vendors directly very efficiently. The vendors can reach the buyers very easily. 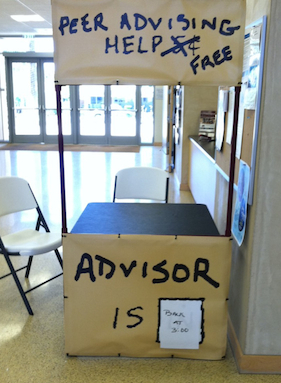 So for selling, one does not really need the advisors as much as one did in the past. Users can share info more easily as well. That's one of the reasons the advisor market is changing rapidly. Yet, everyone is shopping for good insights and advise. Great analysts - in an increasingly complex marketplace - are still scarce. So it all resorts back to the question of who has the best model for accessing talented analysts, and who has the best model to attract and empower the best analysts. I think that one tier 1 analyst firm no longer has the best model, but is still very relevant for a different reason. The other larger firm has a great model. The question is, are there highly relevant firms offering good insights, and attracting great analysts? I think HfS is going in the right direction with being extremely honest. People value it. And want brutally honest insights and even ideas. I think that the niche that's being carved out is that very large firms can only be brutally honest through inquiry. This leaves the door open to one other firm...the key success factor is attracting bright analysts, and offering buyers a streamlined way to access that talent. I'd only add that I am personally more interested in discussing IT and business insights, rather than the analyst/advisor marketplace. Phil - I agree with so much of what you say here. Perhaps the key point you make for me is "analysts need to spend as much time as they can talking with buyers and becoming a focal point for idea-sharing, knowledge, data and validation of their strategies". Buyer insight is worth far more to me than competitor insight. I think research only has a value to a vendor if it will genuinely change our behaviour. You are right, we won't pay much for research that tells us what we already know, even though it is nice to have it confirmed. However, changes in buyer behaviour will change what we do as vendors and the sooner we know about them, the better. Changes in competitor behaviour are less likely to change our behaviour. Gossip about competitors - where analyst activity starts blurring with journalist activity - is even less likely to change our behaviour (it can also severely demean an analyst brand perhaps hastening the demise but that's a separate topic!). The challenge for analysts will be that in truth, we should - as vendors - be better at understanding buyers ourselves. We have sales teams and partners interacting with them every minute of every day and we have a mass of information coming back to us via social media and other channels. If we could crack that - then the role of analysts would need to evolve again. This is the best discussion on this issue for a very long time. Your points are spot-on and you raise a genuine concern. A small number of the large analyst houses will likely still be around in five years, but are unlikely to have changed a great deal. If times get hard again, we'll see further consolidation to stamp out competition (like the last recession) and we'll probably be left with two/three firms from the existing bunch. However, while the traditional business flounders, the new analyst ("influencer") industry will emerge. Clients want to talk with people (as several have mentioned here) who have a realistic and practical perspective. The winning analysts will be those who can bring together teams of experts clients are willing to pay to talk to, who are credible, experienced, realistic, and talk their language. There is a battle for mindshare to be heard above the fray. Blogs and social media have made this possible and shifted the landscape from "not enough" insight to "too much". The analysts of tomorrow need to be able to cut through this deluge of information and give the clients the insight they need to solve problems and develop strategies. Great piece Phil! And some interesting comments. One thing I have come to understand in my years in AR is that there is more than one 'type' of industry analyst. Not just good or bad, but with different skills and capabilities (too varied to go into here). The analyst you would hire for one project would quite possibly not be suitable for the next one. This is true of the individuals and the analyst firms are a collection of these individuals. So there is room for a variety of skills and capabilities and it is about the people. Something that struck me recently, when talking with an analyst from one of the larger firms, was how hard it must be for them to stay current and relevant. Their research cycles are protracted - to allow for peer review, publishing processes, etc - and that means it can be months from when the analyst writes a document or presentation to when the audience gets to see it. What are the chances that something will have happened to change the market they are commenting on in that time and how much is their commentary diluted by that protracted review process? But then we don't necessarily want the unconsidered, off-the-cuff opinions either, do we? I think it will be difficult for the analysts to stay relevant and I agree that the business models of the traditional firms are probably not sustainable (pay for a costly subscription which will deliver reports I probably won't ever read) and will therefore have to change. However, there are still many end-users and vendors paying large amounts of money to these traditional firms and it may take time to break that habit. So just because it appears unsustainable, doesn't mean it is and in any case the change may take time. Some of the changes may already have begun - with more focus on access to the analysts, through enquiry for instance, and less focus on long research reports. And although we may not like the subscription model for many reasons, it does provide an element of predictability, creates an environment where relationships can be built and makes budgeting easier. My bet is that the industry analyst business will survive for more than 5 years. I think it will have to change, but I also think some of that has already started. I hope the result will be a more mature business that will deliver real value to its clients and not be the 'tick in the box' that it sometimes is today. I would also welcome a return to the recognition that it is the individuals who deliver value - not the brand name of the firm they happen to work for. Being a good analyst isn't about being a rock star. It's about helping clients - both vendors and users - make good decisions day in day out. There's nothing glamorous about it - just plain old fashion hard work and a fierce desire to add value. The world may change all around us and we need to embrace the changes; but the bottom line is, as an industry, we can only survive if we add value. How we do it will and must change; the need for research and independent advisory doesn't and will increase as the world of IT gets more complicated. The analyst firms that add value will survive. As a consumer of research at a major global firm, I can emphasize with a lot of what you have said, Phil. I also like the research and debate on this site - it's direct, honest and practical. @dave - great to hear from you! Looks like we have a mix if buyers, vendors, analyst relations people, analysts, bloggers, journalists and at least one Gartner analyst! @john - thanks for your input. At HfS, our aim is to hire industry practitioners into analyst roles, in addition to consultant/analyst types. We believe the industry as a whole needs to freshen up the analyst cast with new faces from industry who speak real "language" and can relate to buyer clients. Hate to admit it, but it's going stale and we need fresh blood and passion! Anything (business, person or industry) that fails to adapt to change will cease to exist; some quick deaths and others long and lingering. Its inevitable. Classically, the smaller more nimble firms will become the heirs to the market as older, more inflexible empires crumble. Some of the old guard will re-invent themselves; others will struggle and die. The biggest evolutionary threat to the current analyst is the IT/business hybrid that will carry the strongest traits of the classic analyst forward (strong process, good research, good insights) with the experienced, client-side executive (real experience, relevance, business/customer insight). It is the understanding of the big picture without the IT blinders on that enterprise is craving. I would also say you may see the emergence of specialties that can "connect the dots" out to the customer's customers. In agriculture, we called it "gate to plate" - from the farmers field to the consumers plate and every step along the way through all of the ag chemical companies, processors, CPG companies, distribution and finally retail. The ability to connect dots to the big picture is going to become the most dominant trait of the new breed of analyst. The lazy or incompetent just can't/won't do this. The culling will be good for both the analyst industry and the customers. Great thinking and enjoy your provocative style. The volume of comments from analysts suggests we still care far more about what we say than our clients do. Rock stars are fun, but many also find themselves invincible and end up in rehab. We really have to pay more attention to our clients than ourselves. It’s funny how many assume the analyst business can only be about IT. Yes, CIOs and providers of IT have kept all our families fed for a while, but this is part of the problem, folks! Mr. Ames, my 7th grade English teacher always said “the truth is in the grammar” Reading through the very well-written comments it is clear that some of us still believe that the only business to analyze is the business of IT. Most of us promoting the “influencer” as the model of the future have a vested stake in that being the case. I say “us” because I count myself very much in this group. I really, really, appreciate the buyers and sellers that nodded in our direction, but for the volume of change we’re talking about here, we need more of them! Self-importance aside, this is a really great discussion—educational for a latecomer like me, and obviously provocative for those of us who see this as a noble endeavor of advancing the industries we cover while making a living. Gartner will be around in 5 years doing what it does, but there won't be much of an analyst business left. The world's moving on and there are many new avenues to get research and knowledge much faster and cheaper (or free). These avenues are becoming more accessible by the day, whereas the analysts continue to hide further and further behind their irrelevant reports and paywalls. Very interesting discussion you've started here, Phil. You may be interested in some other key figures. Like return on shareholder value... Gartner's stock is up 52.7% yr over yr. Currently $3.8B in market cap. Net income of $29M in Q1-2011. Forrester is up 7.8% yr over yr. Currently, $788M market cap. Net income of $2.9M in Q1-2011. IDC is a wholly owned subsidiary of IDG, a private company with revenues of $3.15B in 2010 up from $3.05B in 2009. I consider this to be the oddest "for as broken as things appear to be, things sure appear to be working" model in the market. These firms seem to be thriving in the face of distributed media, emergence of social influencers, and emergence of new rock-star firms like the Altimeter Group and Constellation Research. Could it be that they made enough adjustments to survive the tech downturn? Or, is there a tsunami on the horizon that will force a tide change? That's really hard to say. Looking at economic fundamentals, they appear as strong as ever. @Dan - very good points, and I addressed some of these is my follow-up piece here. Secondly - five years is a long time - enough time for a fast-moving market to evolve. And if Gartner and co can continue to make a nice chunk of change with a cookie-cutter approach to selling data, and if the current plan is their goal unto perpetuity, I tip my hat to them - good business, well done - get rich and retire fat and happy. But my argument here is about the "analyst" business, which I define as the ability to interpret great research methodology to be ahead of the curve, to get your vision and insights to market quicker than everyone else, to foresee disruptive technology and innovation before everybody else. If these firms can sustain their current businesses in the current status quo for another five years, and it's all 1-800 numbers to faceless analysts, 1-many subscriptions to report libraries, will this really be an "analyst business", or just a "data/information business"? Thirdly - your point about new rock-star firms is well taken. I don't think anyone's proved the "new model yet". At HfS Research, we're working hard to bridge the new world of social media with deep industry data, research and peer networking, in addition to tactical areas such as price benchmarking. We're vying to be relevant, honest and realistic, while providing data and foresight clients want, with a mix of analyst skills that comprise hands-on practitioners and ivory tower traditionalists. Have we succeeded? Not yet, but we're working on it in our niche area of outsourcing and have an unbelievable network of 54,000 very active subscribers; but I can tell you one thing - the way people are consuming research has flipped 180 degrees in 5 years, and continuing to evolve. The analyst industry needs to change or it'll dissipate into a dull, uninspiring place which people will simply start to avoid because it's really become IRRELEVANT. "Business hasn't changed, but your customer sure has. Today, they're impatient, empowered, and connected. They trust their peers more than they trust you." Doesn't that prove my point? Great post and email thread! I agree with the comments about people's attention spans getting shorter and not finding value in the analyst reports. The Analyst groups need to adapt to the shift in conversation that is happening in the Marketing and PR world--shorter sound bites and open and accessible information. Gartner has built an incredible brand for themselves yet they are way behind on the social media revolution-in practice and in coverage and I believe that will hurt them in the near future. Forrester is covering social media; however, the analysts at Forrester are not necessarily visionaries. I think the determining factor will be those analyst groups who walk the walk and try to understand what their buyers really want----I think that both vendors and enterprises need practical go-to-market advice based on an analysts ability to see the big picture. I believe that industry analysts and AR will still exist in 5 years but probably as part of the Influencer Relations Team rather than on their own--but that is a whole other discussion. When reading this I was in agreement with some of what Phil covered but like many of the other posters, disagreed that the industry analysts will be dead in 5 years. I do think that the smaller analyst firms will also be around in 5 years, as others have mentioned the industry is becoming more complex and I feel that individuals will actually look more to "influencers" to help them make a decision or to validate their direction. I have seen the Gartner Symposium event increase attendance over the past two years, between that and some of the research you provided on your webcast today, there must be some interest in increasing interactions with the analysts. The smaller firms will also remain, there are vendors that appear each day, and they are the target market for them, I can see them going though some consolidation and shifting, but as long as the larger firms dont have pricing models or services that can work with smaller firms they will always have a market. No one covered what I see as analyst firms that target their industries. These firms can cover both the business and the IT need as they understand the industry they cover, since they came from that industry. These may be more along the line of a trusted advisor, which I think we are all in agreement is what most end users are looking for. I will even go as far to say that many established vendors can fit this area as well. These firms I feel in the current marketplace can offer the most to end-users, unfortunately they dont have the influence now that the larger analyst firms do. But in 5 years, who knows they could be a driving force in the industry. I do agree that the larger firms need to be more agile in shifting how and what they deliver to the end-users and become more consistent in their own firms with their deliverables. We have become a short-attention span society. However as a Gen Xer I feel that the quality of services has suffered due to this, people want the answers now, and many are lazy and just follow the trend, check the boxes or what ever you want to call it. They do not do the research before making a decision, if IT is truly becoming "consumerized" I have concerns about this. Just look at consumer forums online and you see that the majority are filled with negative responses. With the global economy more interlinked than ever, businesses can not afford to "waste" resources by trying things out and then if it fails move to the next trend. I think that in 5-7 years we may see more of this but that like all things the pendulum will swing the other direction. I will give Gartner/Forrester (I have always found IDC analysts and the smaller firms, pretty easy to get a hold of) some props for making analysts more "available" to the end users for calls, now this may be a result of complaints or they may be looking to begin to change how they operate. I dont know if subscription-based research will die, but it very well may change and the model may be a subscription, not to the written research, but to the access to a true trusted advisor, that will take the form of reports, social media, phone and in person meetings. Perhaps it is that I have only been in AR and in IT for a short time, but as a professional that has worked in many industries over the past 15 years I do not see any difference in how the analyst firms operate to how other industries operate. Just as in life you will only be extinct if you fail to evolve with the markets you are in. This is how I see it. Excellent blog - and great debate too. As an analyst for many years at one of the large firms mentioned here, I have to say there is a lot of truth in what you are saying. While there's little doubt the "big two" will still be in business in five years, the bigger issue is whether people will still be turning to them for "research" of for other purposes - i.e. marketing (vendors) and buyer guides (users). Analyst firms need to bring in new faces and fresh talent from industry to reinvigorate its research and provide relevant insight that makes people want to stop, listen and call them up. The analyst business has become a jaded, money-making machine, and we know what happens to many corporates when they get complacent. Social media and new avenues for research and knowledge are quickly changing the rules of the game, and so far none of the big analyst firms are staying ahead of the curve. Open source research analysts and business consulting may become reality?